NEW EVIDENCE SHOWS THAT THERE IS A LARGE UNIDENTEFIED HUMANOID PRIMATE IN THE GREAT NORTH WEST. 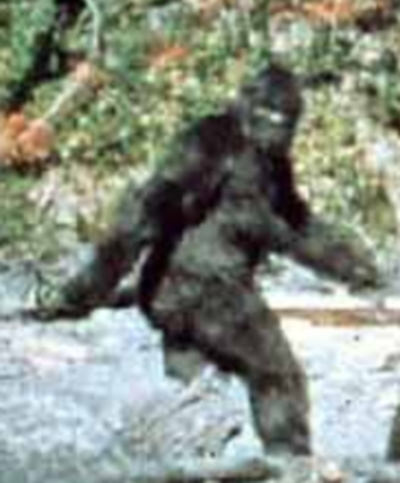 THIS PHOTO WAS TAKIN IN 1967 BY A BIGFOOT HUNTER. PERSONALLY I WOULDNT DOUBT IT BUT WE HAVE NOT FOUND ANY BODIES DUE TO THE FACT THAT WHEN THEY DIE THEY ARE EITHER EATEN BY BEARS AND COYOTEES IN THE WILD OR THEY ACTUALLY BURY THEIR OWN. CLICK THE LINK BELOW YOU BE THE JUDGE!